Soapy Nicks is located in a strip mall east of downtown Lyons. Nick Blanchet wasn’t looking to own and remodel a laundromat when the property came up for sale, but he knew he could make it better. 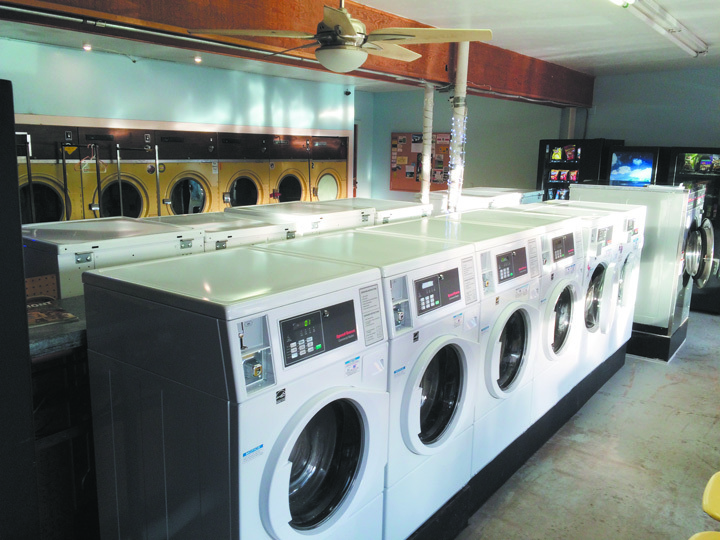 Using his experience, Soapy Nicks Laundromat in Lyons is finally getting the upgrades it desperately needed with the addition of new washers, dryers, and more services. Blanchet enjoys meeting everyone that stops in, and looks forward to seeing more folks with the addition of wash and fold services. New washing machines were delivered in October. The owner says he enjoys meeting everyone that comes in and seeing why different people use the machines. “I have really enjoyed meeting Lyons people I would never have met otherwise; from all walks of life,” Blanchet said. 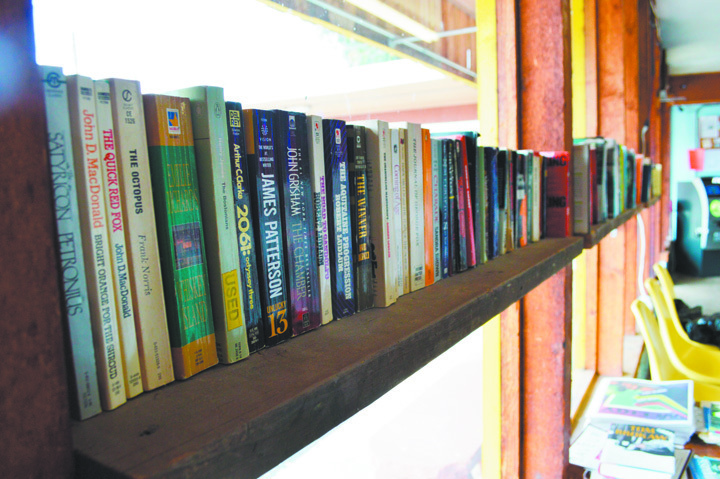 Soapy Nicks features a little library with many best sellers. Starting this month, Soapy Nicks offers a new drop off, wash and fold, pick up or delivery laundry service. It’s available Mondays and Wednesdays by appointment. “I am thinking of the people who don’t want to deal with their laundry. Maybe they are commuting and want to drop off their laundry then pick it up on their way home,” Blanchet said. The service will by charged by the pound, but will also have special rates for items like quilts, sleeping bags and other larger items. Blanchet says the business is starting to carry itself and he has more plans to continue to keep the upgrades coming. Information about the wash and fold, drop-off, pick-up service can be found on the black board in the laundromat or just give Blanchet a call at 303-862-2411. 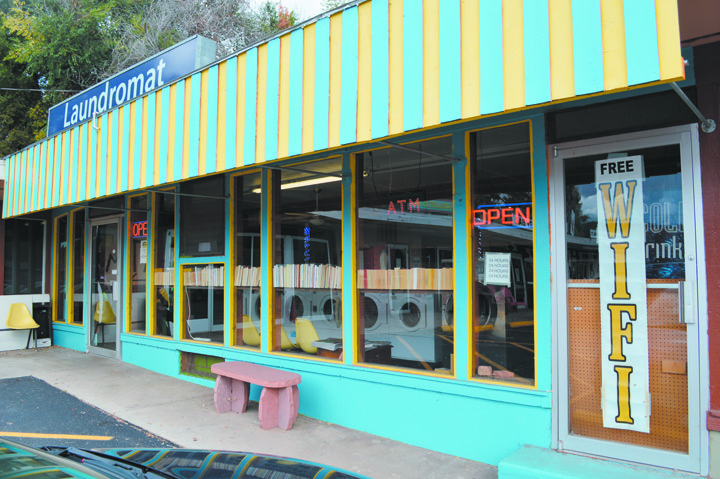 Soapy Nicks Laundromat is located at 138 Main Street in Lyons. 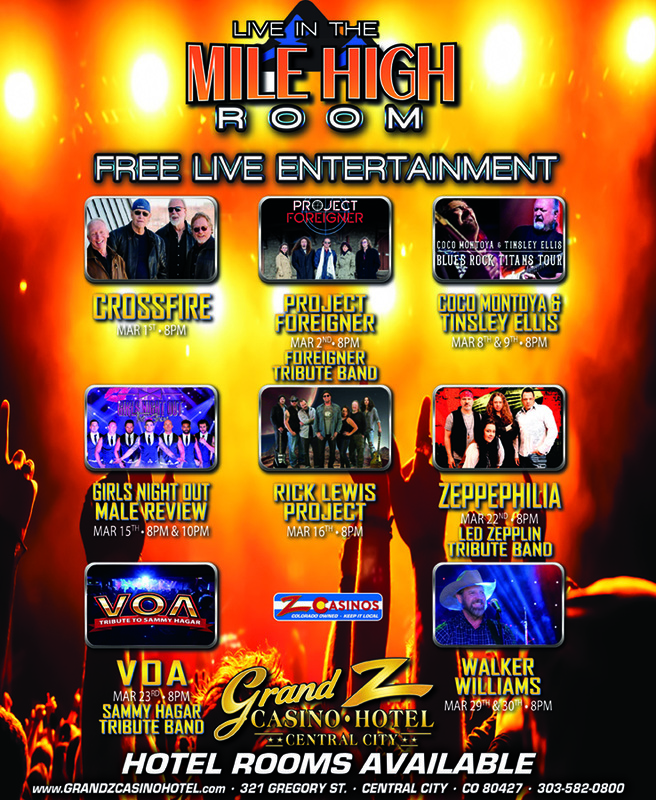 Originally published in the November 2015 issue of the MMAC Monthly. Tags: Lyons, Soapy Nicks Laundromat. Bookmark the permalink.